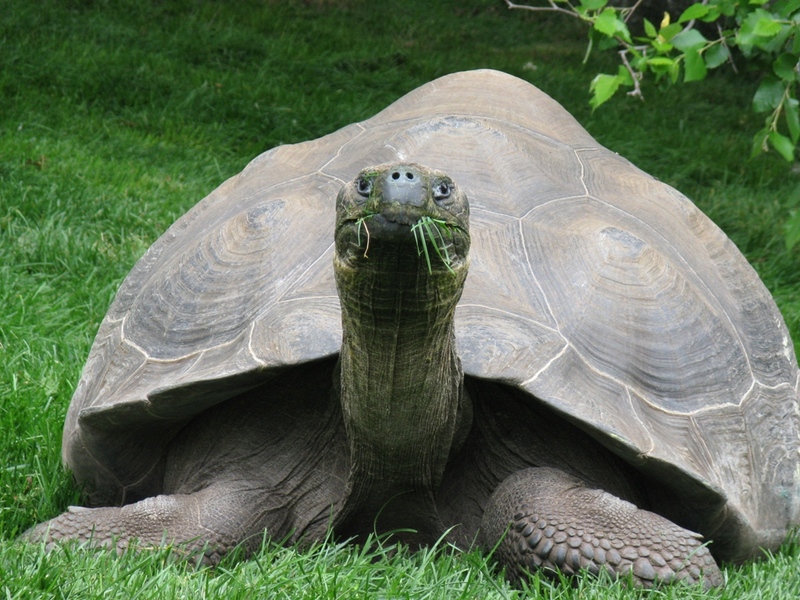 The oldest tortoise on record lived to be 152 years old. Galapagos tortoises nap for 16 hours a day. Galapagos tortoises can survive up to 1 year without eating or drinking. Darwin’s finch and some mockingbirds have a unique relationship with Galapagos tortoises. Tortoises will stretch out and leave their legs and necks exposed so that these birds can eat the ticks off their bodies.